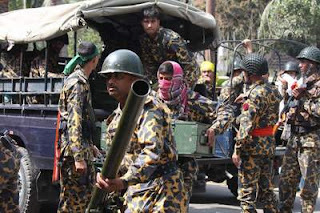 Agartala, 25 April : Indian security forces are fully equipped to deal with any armed infiltration bid from across the border in Jammu and Kashmir, Director General of the Border Security Force (BSF) M.L. Kumawat Saturday said here Saturday. The head of the paramilitary force is on a visit to Tripura and is reviewing border management strategies with senior BSF officials. “India would further tighten the vigil along the 4,095 km-long international border with Bangladesh by increasing border outposts (BOPs) from 1,411 to 1,882 and deploying more BSF troopers with modern gadgets and devices,” Kumawat said. He said that the Indian government has sanctioned 29 more BSF battalions to strengthen security along the eastern and western borders of the country. 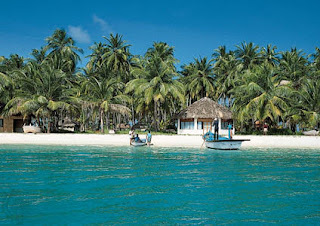 Port Blair, 25 April : Andaman and Nicobar (A&N) tourism department has issued a fresh regulation to improve the quality of tourism and trade practices in the Islands. 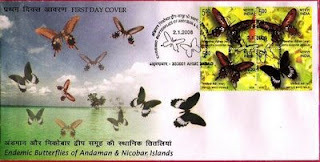 The tourism department has brought out a draft rule titled ‘Andaman and Nicobar Registration of Tourist Trade Regulations and Rules 2009′, which once accepted by stake holders, visiting tourists can expect a fair deal in all kinds of tour packages. "Hoteliers, tour operators, travel agents, scuba-diving operators and general public are requested to go through the draft rules and offer comments thereof," Director of Tourism, Binay Bhushan told reporters today. However, this step has upset a few tour operators in these islands who run small tourism business and mainly depended upon low value tourists. ”We are small players and will not be able to fulfil all the criteria and tomorrow they will surely throw us out. This is clearly a ploy to help big-players to hijack the tourism industry of these islands,” said an aged tour-operator of the Islands. 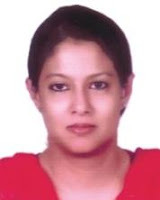 Dhaka 24 April : Bangladesh Home minister Sahara Khatun has said the government has started installing fire service station in 173 Upazila that do not have any. She stressed on the importance of raising public awareness and reducing dependency on fire service at a roundtable discussion organised by Media Initiative for Public Policy on fire-extinguishing preparedness in important cities Friday. Speakers emphasised keeping firefighting materials and equipment, trained manpower, arranging fire drills and strict enforcement of law in high-rises. The minister said many installations have modern firefighting tools but not the people to operate them and referred to the Bashundhara fire in March. Kolkata, 25 April : For the first time in the eastern part of the India, a liver transplant has been successfully performed at the state-run SSKM hospital in Kolkata on an infant whose father donated the vital organ for her. The marathon 12-hour surgery was done on Friday on seven-month-old baby girl Roushan whose father Rajab Ali, a mason from Burdwan district, donated his liver to save the child born without any bile duct, Dr. Abhijit Roychowdhury of the School of Digestive and Liver diseases, said. Roushan and Rajab are recuperating and under close observation, the doctor said. Stating that this is the first time such an operation has been performed in eastern India, the doctor said the child's infected liver, which might have proven fatal in the long run, was dissected maintaining the vascular supplies. The liver was then removed and the transplantation was carried out. Detailing the surgical procedures, he said the area of Rajab's liver was dissected after proper identification which was followed by securing the biliary and vascular supplies. "We kept the dissected part in a special preservative for implantation," the doctor said. Sylhet, 24 April : ‘Shah Alam Gallery’, the first-ever art gallery in Sylhet, was opened at Shahjalal Upashahar in the city on Friday. Bangladesh Finance minister Abul Abdul Muhith inaugurated the art gallery, which has been named after artist late Shah Alam. Education minister Nurul Islam Nahid and Sylhet mayor Badar Uddin Ahmed Kamran, also chief patron of the institution, attended the inaugural function as guests of honour. Speakers at the function said a long-cherished desire of the artists and cultural activists in the region had been fulfilled with setting up of the art gallery. ။ (Left) A watermelon seller boy does brisk business in South Kolkata on Friday as temperature keeps soaring in city. ။ (Right) A Magpie bird sits in a tree in a hot summer noon on Friday as temperature keeps soaring in Dhaka. Kolkata, 24 April : Nearly 1,500 armed tribals brought traffic to a grinding halt in Kolkata for almost two hours on Friday evening. The tribals from Lalgarh and other parts of West Bengal blocked the traffic at Esplanade area in protest when police stopped them breaching the no-entry zone. 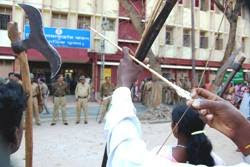 The police allegedly beat up some protestors and damaged their vehicles following a scuffle after the tribals gathered in Kolkata to express solidarity with the people of Lalgarh, where tribals with the help of Maoists have banned the entry of police. Earlier, security forces conducted flag march in the Maoist-hit areas in West Bengal, including Lalgarh in West Midnapore district. 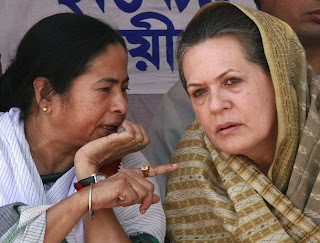 Burdwan, Arambagh, 24 April : Two days after saying in Kolkata that Congress was open to Left support to form the next government at the Centre, senior Congress leader Pranab Mukherjee on Friday ruled out the possibility. Cox’s Bazar, 24 April : Two-day 40th annual conference of 'Bangladesh Itihas Parishad' began in Cox’s Bazar cultural centre conference room on Friday morning. The Chittagong University vice-chancellor, Professor Abu Yousuf Alam, inaugurate the conference as chief guest. A total of two-hundred members of the organisation are participating in the conference. Sixty topics, including eight on Cox’s Bazar, will be discussed in different session. ‘This conference will inspire the next generation for to write on local history,’ said Professor Abu Yousuf Alam in his inaugural speech. ‘Bangladesh Itihas Parishad can play a vital role in writing the actual history of War of Independence of Bangladesh,’ he added. PTI, New Delhi, 24 April : West Bengal chief minister and senior CPI(M) leader Buddhadeb Bhattacharya has not ruled out the possibility of the Left parties working with Congress again if the situation warrants after the Lok Sabha polls. "We are not committing anything.... After elections, when the situation will arise, we will discuss on the concrete situation at that time," he said when asked whether Left parties could again "ally" with the Congress to keep BJP out if the situation demands. He said the Left parties at present are "busy with the task to defeat both the Congress and the BJP." Asked whether Left parties, like in 2004, would again remain out of government if they get a chance to be part of it, Bhattacharya said "History does not repeat itself. What happened in 2004, I don't think its going to get repeated again." 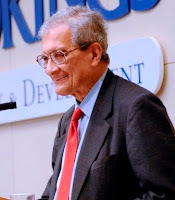 He referred to 1996 when the Left parties rejected the idea of Jyoti Basu becoming the Prime Minister and said "we discussed and decided that if situation demands and if we can play a meaningful role in the Government, then we have to think over and we may join this Government." On Congress, the CPM leader said the Left parties had no problem with Prime Minister Manmohan Singh as an individual but were opposed to his policies. 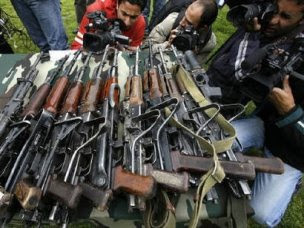 Kolkata, 24 April : India on Friday expressed grave concern over the progress of Taliban in Pakistan saying it posed a threat to the stability and peace of the entire region, while urging Islamabad to deal effectively with the situation. "The thrust of Taliban is a matter of deep concern and poses threat to the stability and peace of the entire region and, off course, the stability of Pakistan," the Minister of State for External Affairs, Anand Sharma told reporters in Kolkata today. "This organisation poses a threat to civil order and peace in the entire world," he added. UNB, Chittagong, 24 April : The movement of ships to and from Chittagong seaport became normal this morning after the channel was dredged following capsize of a clinker-laden lighter vessel. Sources in the Chittagong Port Authority (CPA) today said the channel has been deepened and widened by dredging and as a result nine feeder vessels have already been entered into the port from outer anchorage. Meanwhile, Bangladesh Shipping Minister Afsarul Amin visited the spot of occurrence this morning. Talking to reporters, the minister said they would make arrangements to buy a salvage ship for the port. He also said necessary measures will be taken to remove the capsized vessel as early as possible. Earlier on Tuesday evening, the lighter with clinker capsized at the estuary of the Karnaphuli River, jamming the shipping channel from Chittagong Seaport into the Bay of Bengal and impeding shipping operations. Among 12 crewmembers of the vessel, 11 managed to swim ashore while its master, Bahar, was found dead. Purulia, 24 April : Suspected Maoists shot dead two local CPI(M) leaders at Supurdih village in Balarampur area, about 40 from here, last night. Police said Bibhuti Singh Sardar and Baikuntha Mahato were returning from a fair at around 11 pm last night when some motorcycle-borne persons shot at them from a close range. Both of them died on the spot, police said. While the police is yet to identify the assailants, the family members of the victims said the killers raised slogans in support of the Maoists after killing the two. 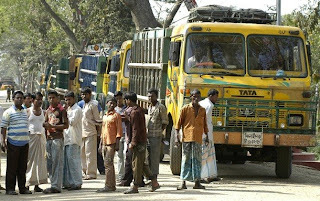 The CPI(M) has called a 12-hour bandh in Balarampur on Friday in protest against the incident. Security has been tightened in this district headquarter town in view of Congress leader Rahul Gandhi's scheduled visit for campaigning. UNB, Chandpur, 24 April : A tornado swept over two villages in Haimchar upazila of Chandpur Thursday night, killing a man and injuring 25 people. According to a delayed report, the whirlwind hit Jaliachar and Baburchar villages at about 7:00pm(BDST) and lasted about 15 minutes. A boat capsized in the River Meghna during the storm, leaving Momin Sardar, 22, of Lakshmipur drowned. The tornado also razed 200 dwelling houses to the ground, leaving 25 people injured, upazila youth development officer Abul Bashar Patwary said. Two of the injured were sent to Dhaka for better treatment. 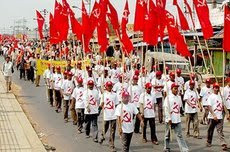 Lalgarh, 23 April : An influential tribal body in West Bengal's troubled Lalgarh block on Thursday urged people to vote against the ruling Communist Party of India (Marxist) in the Lok Sabha polls. Spelling out the stand of the tribal body Peoples' Committee Against Police Atrocities (PCAPA), its leader Chhattadhar Mahato said people could support any party other than the CPI(M). 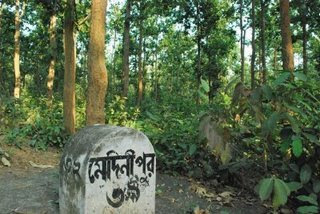 Lalgarh is a Maoist insurgency affected area in West Midnapore district. "We wanted a common opposition nominee in our constituency. But since there are several such candidates, people are free to vote in favour of any of them. 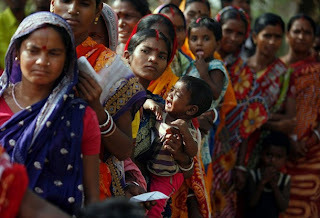 But we shall not vote for the CPI(M)," Mahato said here. 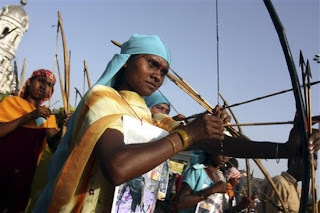 Angry over alleged police excesses in the past, tribal leaders in the Lalgarh area, which has around 40,000 voters and falls under Jhargram constituency, had earlier said they would not allow the police to enter the area to enable polling 30 April. < Voters await their turn to cast their ballot at a polling station in Ramchandraghat village (Left) and Gamchacobra village (Right) in Tripura today. 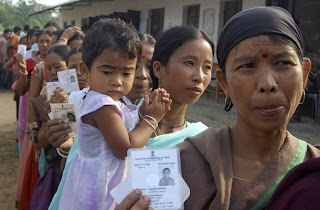 Agartala, 23 April : Voting to elect two Lok Sabha members from the northeastern state of Tripura ended peacefully Thursday evening with more than 80 percent people exercising their franchise. “Over 80 percent of the 20.8 lakh voters cast their ballot across the state,” said Dilip Acherjee, additional chief electoral officer. The prominent candidates are six-time MP Bajuban Reang of CPI(M) from Tripura east while his party colleague Khagen Das contested from Tripura west. Altogether, 19 candidates, including one woman, were in the contest for the two seats, polling for which was held amidst tight security. The total number of voters in the state is 20,82,205, the sources said. 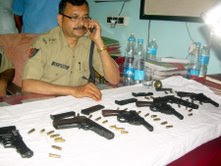 DIG (Police control), Nepal Das said not a single untoward incident was reported from any part of the state. “In the wake of possible militants’ violence, 30,000 security personnel were deployed while two air surveillance teams led by senior police officials also keept vigil by two military helicopters,” Das said. State CPI (M) leader and Tripura Rural Development & Panchayet Minister Jitendra Chowdhury expressed happiness over the peaceful and huge turn out. 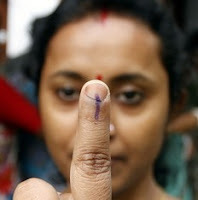 “We are happy with the (huge turnout) and the polling so far is peaceful,” he told Bengal Newz. Six central observers, 266 magistrates and 500 micro-observes were appointed to oversee the poll process and ensure free and fair elections, said Sanjeev Ranjan, the chief electoral officer of the state. About 20,000 poll officials escorted by security forces were manning 3,008 polling stations across the state, the poll official said. 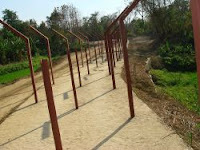 Agartala, 23 April : The gates on the barbed wire fence along the India-Bangladesh border in Tripura would remain open till the balloting ends to enable all voters to exercise their franchise, an official said here Thursday. "We have asked the Border Security Force (BSF) to open the gates on the border fence for the whole day to facilitate the voters to exercise their franchise," said Dilip Acherjee, additional chief electoral officer. The fence is 150 yards from the actual border, and many Indians have their homes and farms in between. The gates are usually opened 2-3 times day to enable them to move back and forth. An estimated 45,000 people from 10,000 families were displaced after their homes and farms fell outside the fence. Though a large number of people shifted their houses inside the fencing, several thousand families still live outside. Barisal, 23 April : The Sher-e-Bangla Medical College in Barisal will reopen on 27 April, 11 days after the authorities shut the college, the principal has said. The decision came from an academic council meeting on Thursday. The five residential hostels will be open to students on 26 April. 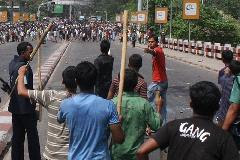 The college authorities shut the college following clashes between two factions of Bangladesh Chhatra League on the night of 16 April. 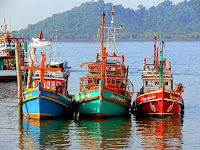 UNI, Port Blair, 23 April : The shipping department of Andaman has initiated action for verification of documentary proof of passengers while embarkation and disembarkation, the objective of which is to curb black-marketing of ship tickets. The Directorate of Shipping Services has appealed to the passengers to purchase tickets only in their name and carry documentary proof while traveling and produce it on demand. 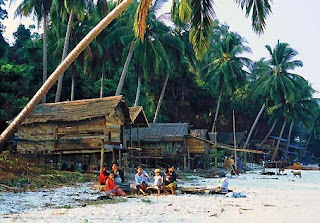 Bimal Roy, a leader of Neil Island, described it as a welcome step. ‘We have been demanding for such steps since last several years. Tour operators take away ship tickets in bulk in fake names and we are made to suffer.’ ‘Initially during such checks, the passengers who traveled with tickets in false names were not allowed to board the vessel and their tickets seized, but subsequently, the department made sure that not only the tickets are seized but also cases of impersonation are filed and these are dealt severely as per the provisions of law,’ an official release of Shipping Services said. Cape Town, 22 April : Shah Rukh Khan has spent a lot of money building up PR for Kolkata Knight Riders. He’s hired the right firms, been out there in the public just about all the time; there’ve been parties, press conferences, cheerleaders, music and almost all the right kind of bytes given by the superstar himself. Yet, he’s a troubled man. That’s not just because KKR got off to bad start or that relations between ex-captain Sourav Ganguly and coach John Buchanan continue to be strained. It’s mainly got to do with an unknown blogger - who claims to be a KKR team member - bent on letting the cat out of the bag all the time. The blogger - calling himself Fake IPL Player - is sure he’ll never be a part of the playing XI. "But, there’s one thing I do very well. Serve drinks. And that’s what I am expecting do in South Africa," he writes. Evidently, he’s doing much more. The day begins with posts on what KKR did at the breakfast table to what Khan had to say to his team, who listened, who smirked, what the coach did the whole day, how’s Ganguly coping with lost captaincy and of course, what the rest of the teams and their players have been up to.